You are currently browsing the Athletic Tape Info Center blog archives for December, 2010. If you’ve ever been frustrated about having to remove your kinesiology tape to apply liniment or other topical analgesics, fret no more. Just get yourself a bottle of Rock Sauce, the brand new topical analgesic designed to work with kinesiology tape. Just in case you missed the connection, RockSauce is a creation of the innovative thinkers at the RockTape company. It’s equally effective, whether applied directly to the skin or on top of a kinesiology tape application. The active ingredients in Rock Sauce include 20% methyl salicylate, 10% menthol and .3% capsicum – the maximum amount of these ingredients allowed in non-prescription, over-the-counter products. It was also carefully formulated to comply with the United States Anti-Doping Agency (USADA) guidelines, making it both safe and effective for athletes of the highest caliber. Rock Sauce comes an easy-to-absorb lotion. After rubbing it in, the first sensation is that of coolness, followed by an increasing warmth that quickly penetrates deep into aching or fatigued muscles. Depending on your sensitivity, you may think it should have been named “Hot Sauce,” as it is said to be approximately 20% more intense than other topical analgesics. 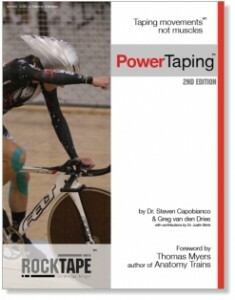 What else would expect from the Rock Stars at RockTape?